How do you protect a highly congested city of 60,000 people from disease? Well it is kinda cool because this is exactly what bees do to protect their busy and crowded hives. A typical honeybee colony is comprised of 20,000 to 60,000 bees all living and working in one incredibly congested hive. Due to the crowded nature of their environment, bees need to be especially vigilant about protecting their colony from disease. Just one tiny pathogen could spread infection throughout the entire hive. For millions of years, bees have been perfecting the art of self-protection using a sticky substance known as propolis to coat and sterilize the interior of their hives. Derived from the Greek words pro, “in defense of” and polis “city”, propolis was named when ancient beekeepers noticed that bees often built a wall of propolis at the entrance of their colony. Because bees have to enter through this “propolis gate”, the bees are cleansed of microbes as they enter the hive. Propolis, also known as “bee glue”, is a substance derived from tree saps, flowers, and other botanical ingredients that surround the bee colony. Certain types of trees secrete saps with antibiotic and antifungal properties in order to seal their wounds and protect themselves from infection. Medicinal tree saps have been used as therapeutic remedies for centuries; some of the most famous being the biblically significant Frankincense and Myrrh. Bees take these powerful resins and blend them with their own waxes and saliva to create propolis, which they then use to coat their hives. In the hive, propolis protects against pathogens and diseases, as well as protecting the colony against harsh environmental factors, such as rain and frost.Essentially, the bees borrow the medicine of the trees and re-purpose it for their own defenses. Called “nature’s penicillin”, bee propolis offers antibacterial, antiviral,antiseptic, antifungal and antibiotic-properties. Due to these capabilities, propolis sterilizes the environment in the hive to ensure the colony’s survival from generation to generation. A number of scientists have noted that the inside of a bee hive may be more sterile than a hospital! Honey bees also use propolis to embalm any insects or animals that may invade the hive. Though any trespasser would be immediately killed by bee stings, the carcass of the body would be too heavy for bees to remove from the hive. Thus, the corpse is “embalmed” with propolis in order to prevent its decay and potential contribution to infection. Interestingly, the ancient Egyptians also used propolis in mummification when they noticed this unique benefit. Over 200 different active compounds have been identified in propolis, although potency and composition varies depending on the types of plants and trees in the region where the propolis is collected. Among these components are antioxidants, polyphenols, vitamin A, B vitamins, essential oils and amino acids. In general, propolis consists of approximately 55% resins, 30% beeswax, 10% ethers and aromatic oils and 5% bee pollen. Just as the bees “borrowed” the medicine from the trees, humans can harness the power of propolis for our own healing. Utilizing the healthful wisdom of bees, we may defend our own “cities” against microbes and disease with propolis supplementation. Propolis has the highest antimicrobial capabilities of any bee product. The methods of antimicrobial activity are thought to be a synergistic effect of all compounds present. When propolis is administered, pathogenic bacteria are no longer able to reproduce and the body’s natural defenses to that pathogen are strengthened. Propolis inhibits harmful bacteria without destroying your body’s friendly bacterial population, or creating bacterial resistance. Propolis has been proven to have inhibitory effects on some strains of drug resistant bacteria, such as MRSA and H.pylori, and has shown a synergistic effect when combined with standard antibiotic usage. For those of you who know that there are different classes of bacteria, it has been suggested that propolis is more active against gram-positive pathogens, but many gram-negative bacteria are also inhibited. Just as propolis protects the beehive from fungal infections, it can do the same in the human body. Propolis has been shown to have fungicidal effects against Candida albicans, Candida glabrata, Candida krusei and Trichosporon spp. A recent study suggests that propolis treatment is as effective as the antifungal medicine nystatin for treatment of oral yeast infections. Data also suggests a boost in the fungicidal activity of macrophages by propolis stimulation. I recently reviewed some natural support for fungal infections such as Candida. Various studies have shown propolis displays anti-viral activity against small pox vaccine virus, influenza virus, herpes simplex virus, rift valley fever virus, and avian influenza virus. Two separate studies have also shown propolis treatment to be effective against HPV. Studies on antiviral capabilities of bioflavonoid extracted from propolis did not show as strong of an effect as propolis itself, suggesting a synergistic effect of all of the compounds in propolis working together on antiviral activity. Nature’s remedies are much more dynamically orchestrated than a pharmaceutical drug – often acting beneficially in multiple areas at once whereas pharmaceutical regimens tend to target a very specific area at once. Inflammation is the body’s natural healing response to harmful stimuli such as pathogens, irritants and free radicals. The high concentration of bioflavonoids and cinnamic acid derivatives present in propolis act as powerful anti-inflammatory agents by fighting infectious agents which may be associated with less pain and a reduction in both acute and chronic inflammation. Caffeic acid phenethyl ester (CAPE), a constituent of propolis, has been shown to possess immune-modulatory and anti-inflammatory capabilities. Compared to pollen and royal jelly, propolis exhibits the highest antioxidant activity. The antioxidant activity of propolis correlates well with its total concentration of polyphenols. Active free radicals are involved in almost all the cellular degradation processes and leads to cell death and the resulting oxidative stress is thought to conttibute to the development of chronic and degenerative diseases. Propolis may reduce blood sugar levels in both animal and human test subjects with diabetes. Another study with diabetic rats showed propolis to have effects on altering the metabolism of blood lipids, leading to decreased lipid peroxidation and concurrent oxidative stress. Recent dentistry research has displayed evidence that propolis may protect against dental caries and other forms of oral disease due to its inhibition ofStreptococcus mutans enzyme activity and its inherent antimicrobial properties. Studies conducted with propolis added to toothpastes and mouthwashes showed plaque-cleaning, plaque inhibiting, and anti-inflammatory effects. Propolis has shown inhibitory action against H. pylori, associated with gastric ulcers and colitis. It has been used alone or in combination with antibiotics for in the prevention and treatment of gastric ulcers. The CAPE from propolis also may reduce “insults” to the colon, and also may be associated with lower levels of inflammatory chemicals, resulting in decreased inflammation of the colon. Topical applications of propolis have been shown to speed up tissue repair in subjects with second-degree burns by stimulating collagen production, enzyme systems and circulation. The anti-inflammatory properties of propolis also reduced local swelling and irritation. Propolis ointments have also been used against cold sores and herpes simplex skin lesions. Flavonoids and phenolic acids in propolis display immune-modulating effects by increasing antibody production and macrophage activity, which builds the body’s resistance to disease. Bee propolis not only prevents the onset of infection, but helps to rapidly clear them from the body which protects us from cellular deterioration. Nature is the world’s finest laboratory with millions of years of live study. 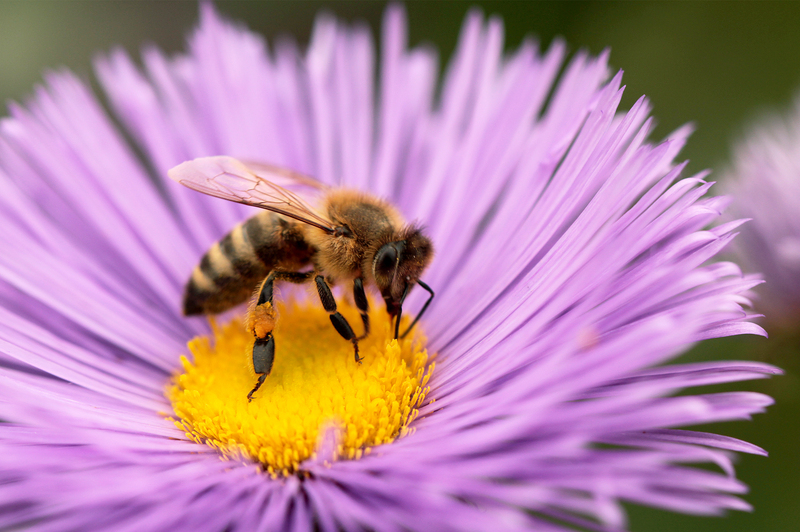 Bees are one of the most interesting species in their social behavior, their class hierarchy, and the health benefits of their honey, pollen, propolis and more. Unfortunately, with the rise of genetically modified crops and the use of pesticides, it is feared that some bee species are in trouble of extinction, and colonies have been mysteriously disappearing. It would be a shame to lose the ability to leverage the unique health benefits bees offer us humans, and propolis is one of those unique gifts. Interested in taking Propolis? Check out our Propolis Plus product here!